With winter approaching, longer evenings and colder weather, we naturally want to hibernate and be more reflective. It can be a time of re-focusing, preparation and waiting for summer. We know summer will come but for now we have to wait! Next Sunday (June 4) is Pentecost Sunday. Prior to Pentecost and the renewing and refreshing of the Holy Spirit we are called to wait, prepare and re-focus our priorities in anticipation. In this season we want to focus on our prayer life and coming close to God. This intimacy is the heart of prayer. Last year as we revisited the role of our café we clarified its vision: To provide a welcoming place of hospitality to help foster relationships, welcome new people and encourage redemptive communities and people becoming life-long followers of Jesus. In this next season we are going to rename this space as The Living Room. This space will aim to create an environment that is warm, relaxed, comfortable, non-threatening and personable. If you would like to volunteer to help with hospitality on Sunday mornings in The Living Room please contact Jasmine Bates at jbates@swbc.org.nz, who we have employed as our Sunday Hospitality Coordinator, or leave your contact details at the Info Centre. If you have had experience in hospitality, please include that information too. 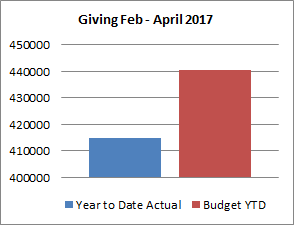 In this newsletter there is a graph of our giving compared to our budget for the first three months of the year. As you will see we are running behind budget at this stage. While this is a typical pattern, it is something we are mildly concerned about. Hasn’t it been good to celebrate with the Tuesday Christian Fellowship team and people for their 30th Birthday? This is a unique ministry in so many ways. A wonderful mix of vulnerability and joy, the longevity of the fellowship, the style of the gatherings and the commitment of such a great team of caring people. Praise God – great things he has done! Check out our Daily Readings on the website or at Info Centre. Know someone who is new to the church? Invite them to join in the next Discovery Lunch on June 11. Check out the website to see what is happening for Children and Families! Prayer – Our love and sympathy to Warren & Marianne Lewis and family on the passing of Warren’s father.Mental Health & The Church Conference 2017 – This is a one day conference hosted by Willow Creek that looks at a range of mental health issues. The focus this year is Children and Youth mental health. Thursday June 22 at Hope Presbyterian. If you are interested in attending please talk to Warren Read or email wread@swbc.org.nz. Project Esther have a team leading the church service at the Women’s Prison on the first Sunday of each month. Please pray for them and those attending these services, that they will know the love, comfort and grace that only comes from Jesus. Mercy Basket – With the cooler weather our cupboards are looking rather bare. We require jam, peanut butter, cans of spaghetti, baked beans, tuna, corn, peas and creamed rice.Your donations are appreciated. Thanks, Sheryl. Thank you for your faithful giving so far this year. As you can see from the graph above, giving is behind budget by almost $26,000 to the end of April. Please continue to pray for our church finances. Hospitality Volunteers – We’re looking for volunteers to help on Sunday mornings with tea and coffee set up, clean-up, and serving with a smile! To sign up, visit the Info Centre or email jbates@swbc.org.nz. Next Discovery Lunch June 11 is for those new to our church. If you would like to come along and hear about the church, places to belong, learn, grow or to contribute, please leave your name at the Info Centre or email Si Hart at shart@swbc.org.nz. World Vision Fundraiser – This Sunday morning between the 9.00am and 11.00am gatherings, Izaac Wilson will be selling hot chips, scones and cold drinks in The Living Room as a fundraiser for the World Vision 40 Hour Famine. Cash only. Westmorland Pot Luck Lunch – June 11 from 1.00pm. We are meeting at Daniel & Maree’s 6 Ennerdale Place. All welcome. Celebrating 30 years! Tuesday Christian Fellowship will be holding a dance on Saturday May 27, 7.00pm in the Lyttelton Street site Gymnasium. An evening of fun for the whole family! Bring a plate. Drinks will be provided. Healing Rooms invites you for prayer at 248 Lyttelton Street on Monday June 5, from 7.30pm – 8.15pm. For more info contact Karen 338 4163, or email healingrooms@swbc.org.nz. Family Global Exposure – This year is a chance for families to experience another culture, to start to understand poverty, and to see how our church is involved in a global community. Running from October 5 – 12. Numbers are limited so if you are interested and want to find out more information, email John global@swbc.org.nz. Thursday June 1 – 10.30am in The Living Room. Coffee Morning Bring & Buy “COW” Table with produce from our garden. Monday June 12 – 12.15pm – 2.00pm in the Cobham Hall, cost $5. Lunch is provided.Come and be entertained by Dave’s Ramblings. Canterbury CEC Trust – The Churches Education Commission (CEC) that oversees Christian Religious Education (CRE) in schools is holding two prayer meetings on Thursday June 1 at St Christopher’s Church, 244 Avonhead Road, 11.00am -12.30pm and 7.30pm – 9.00pm. All are warmly invited to attend as we give thanks for this work and pray for its future. Any queries contact Aimee at canterburycectrust@gmail.com. Christianity continues to grow quickly in China, with many churches operating in a grey area that are not permitted but not banned by the government. They face police scrutiny, but continue to grow. The current government’s focus is on stability, and so this can lead to periodic crackdowns on churches and Christians as well as other groups involved in human rights issues or seen as having foreign influence.In the vast North and West of China, however, where the population is a mixture of diverse ethnic and religious groups, Christianity is not growing as rapidly. Increased police presence and hardline political leadership in these areas makes it difficult for people to hear the good news. There is also persecution from family and communities as people study about Jesus. 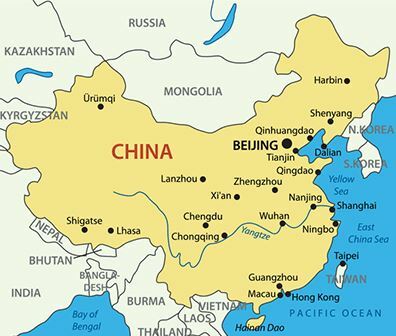 Pray that the good news would spread even to remote and unstable areas of China, and that Christians in China would catch the vision to spread the good news to their ethnic neighbours. Pray for our SWBC people in one of these areas working in a small town and sharing the good news with neighbours and colleagues. Pray for the church in China to grow strong despite persecution. Pray for wise leadership, for a growth in knowledge of the good news, and for the power of Christ to transform the country. For more information about Alpha – Term 3 email alpha@swbc.org.nz Download our App to stay up to date with what is happening! Contact Si Hart to see how to connect and get involved with people in your area!